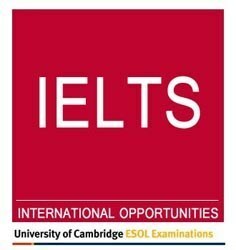 Are you ready for the IELTS exam? The IELTS (International English Language Testing System) exam one of the most commonly taken in the world. The IELTS exam is generally used for two different purposes. Those include admittance into universities and colleges as well as for use in business and visa applications. The average IETLS test taker cores a 5.0, but most universities and visa applications require a minimum of 6.5 if not higher. So are you ready? Take this quick quiz to find out. Do you have confidence in your English listening ability? Are you comfortable reading English texts and analyzing them? Can you use English to describe abstract topic in an understandable fashion? Do you have the ability to write at an advanced English level? Have you reviewed and understood the sections of the IELTS exam? Are you ready to have an extensive English interview in spoken English? If you answered 'no' to any of those questions, you may want to speak with one of Live Lingua's IELTS tutors. The first trial IELTS class is absolutely free. You can speak with the tutor to see if they think you are ready for the IELTS test and they can propose a study plan for you. No credit card required, and no commitment. The general IELTS (International English Language Testing System) test is made up of four different sections made to properly evaluate your current English level. The first section is the listening section which covers 4 general topics. In the general Reading section you will have to read about 3 topics and answer questions about them. The general Writing section requires you to write short 250 word essays about 2 topics. Finally in the speaking section you will have to speak about a given topic for 11-14 minutes. Do you have any questions about the general IELTS exam? You can speak to one of our IELTS tutors for free to ask any question you may have. They will speak with you and evaluate how prepared you are. The academic IELTS (International English Language Testing System) test has also has 4 sections like the general exam. The Listening and Speaking modules on the test are the same. The listening module has 4 topics and you have to answer 40 questions about them. The speaking module requires the test taker to speak about a topic for 11-14 minutes. The difference comes in the content of the reading and writing sections of the exam. Do you have any questions about the academic IELTS exam? You can speak to one of our IELTS tutors for free to ask any question you may have. They will speak with you and evaluate how prepared you are. Speak To A IELTS Tutor Today! What makes Live Lingua IELTS tutoring different from the local tutors or enrolling at a local language school? And best of all, we let you meet and speak to your future IELTS teacher before having to commit to paid classes! The more IELTS lessons you enroll in at the same time, the cheaper the hour of class gets. Still not sure if Live Lingua IELTS tutoring is the right choice for you? Then just try a free lesson with one of our tutors to make sure. No risk, no commitment. Just to leave my appreciation of [My IELTS Tutor] as an IELTS teacher. She had clear technique, straight to the point. I improved my writing from 6.5-6-7 to 8. [My IELTS Tutor] also gave me trustable tips for reading. They let me save time for harder passage. Lessons and suggestions were given in polite but firm manner, always on time. [My IELTS Tutor] did not aim to roll up the lesson fast, was finishing at a logical end. My score was 8.0. 7.5-7.5-8-8. I am glad,I discovered your site. Thank you very much for your help. I am just contacting you to thank you for matching me up with [my IELTS tutor]. I just took the IELTS exam for the second time and got a 7.5. That is 2 points more than I scored the first time. I had studied for the last year for the IELTS exam but I still was not 100% confident in myself. I took 2 weeks of intensive class with Live Lingau and that gave me the confidence I needed to get a 7.7 average on my first IELTS exam. I have great base for the future.